Blessthefall in Montreal or Quebec City? Inform me about the next events for Blessthefall. Enroll yourself to our priority waiting list for Blessthefall to be alerted when new tickets are available. Filling this form doesn't engage you to any purchase. 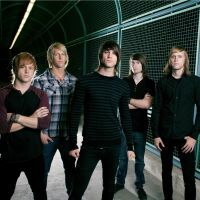 Blessthefall is a band that slowly came together in high school. They started playing gigs publicly in 2003. From Phoenix, Arizona, the band has a stong christian influence and sings as such. Their last and fifth album, To Those Left Behind, was launched in 2015. Blessthefall will be in Montreal at the Virgin Mobile Corona Theater in March 2016.